A long sleeved easy care shirt ideal for embroidery. 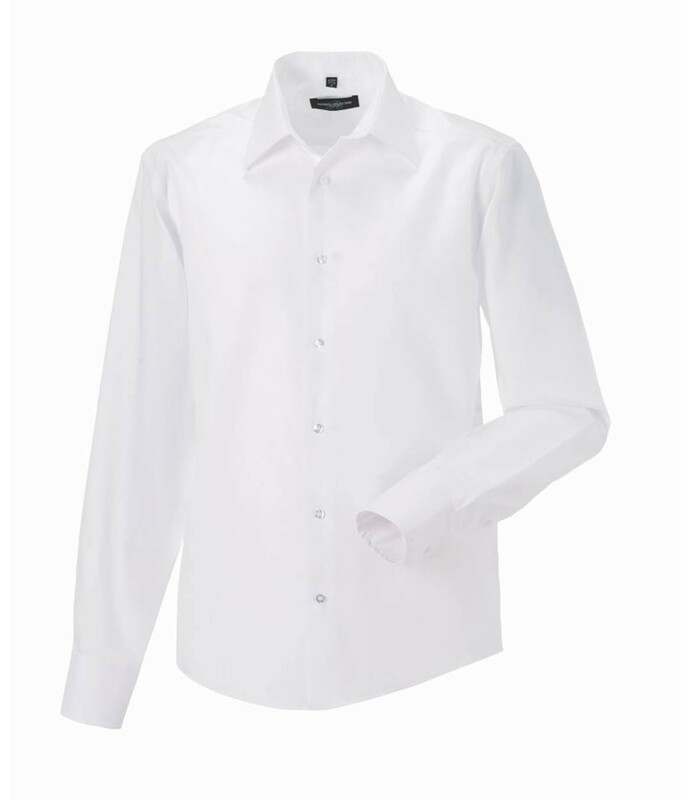 The Russell Collection 958M Long Sleeve Tailored Ultimate Non-Iron Shirt in 100% cotton micro twill. Matching buttons. Mitred edge two button cuff with option for cuff links. Curved hem. Back yoke. 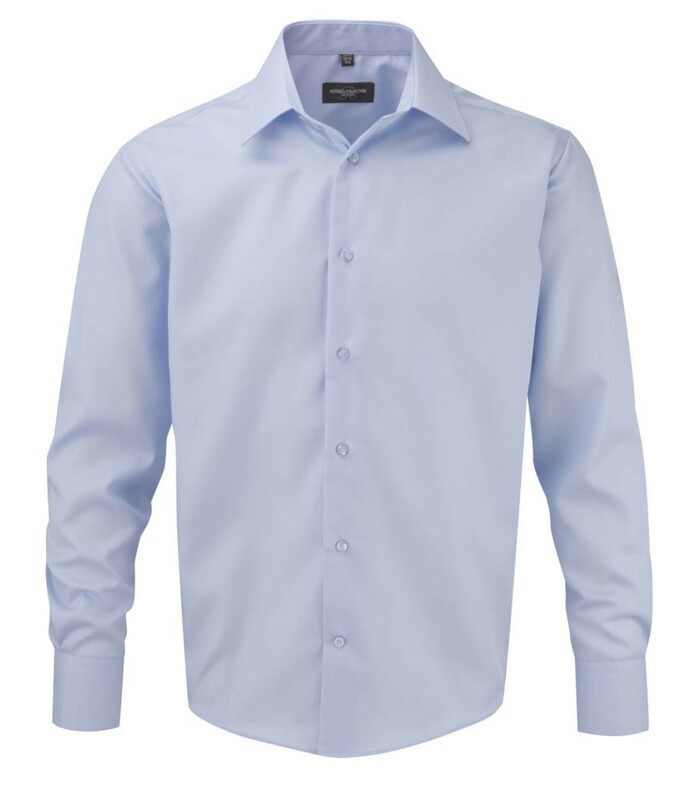 Available in short sleeve, 959M. 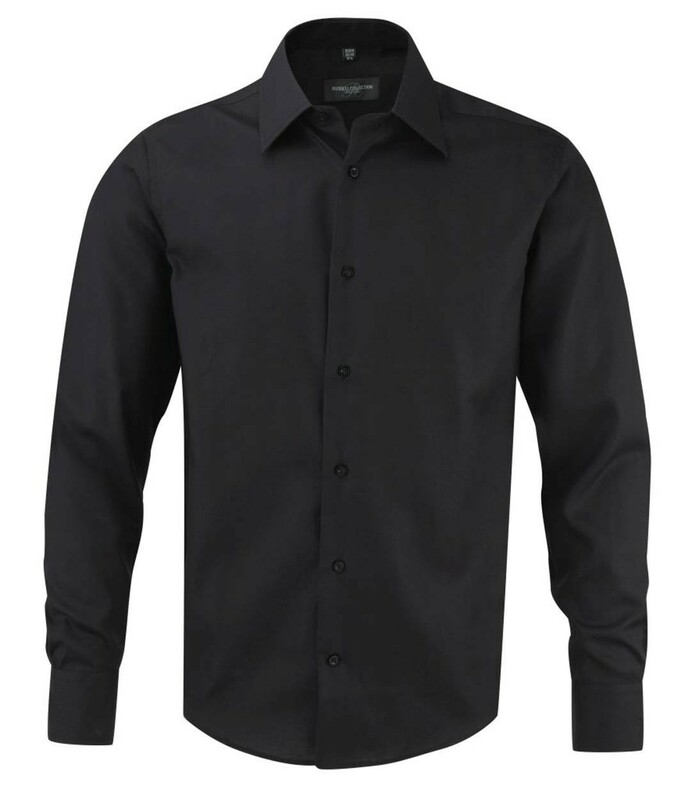 The Russell Collection 958M Long Sleeve Tailored Ultimate Non-Iron Shirt features 120 gsm fabric.